During her previous visits to Delhi, Banerjee met the leaders of regional and opposition parties as part of her efforts to cobble up support for the "federal front" she has proposed to take on BJP. NEW DELHI: TMC chief and West Bengal Chief Minister Mamata Banerjee will visit Delhi for three days next week to personally invite opposition leaders to the "federal front" rally she plans to hold in January in Kolkata, party sources said today. Banerjee is scheduled to arrive in Delhi on July 31. During her previous visits to Delhi, she met the leaders of regional and opposition parties as part of her efforts to cobble up support for the "federal front" she has proposed to take on the ruling BJP in the 2019 Lok Sabha election. The sources - who are close to Banerjee - said she has been invited to Delhi by St.
Stephen's College to deliver a lecture on August 1, but she is likely to invite opposition leaders personally for the rally to be held on January 19 next year. On July 31, the day she arrives in Delhi, Banerjee would speak on "the atmosphere of fear and intolerance against minorities prevailing in the country" at a gathering organised by Christian organisations, the sources said. The meet would be attended by archbishops of Delhi. "Everybody knows that it is she who is fighting against the BJP and communal forces. 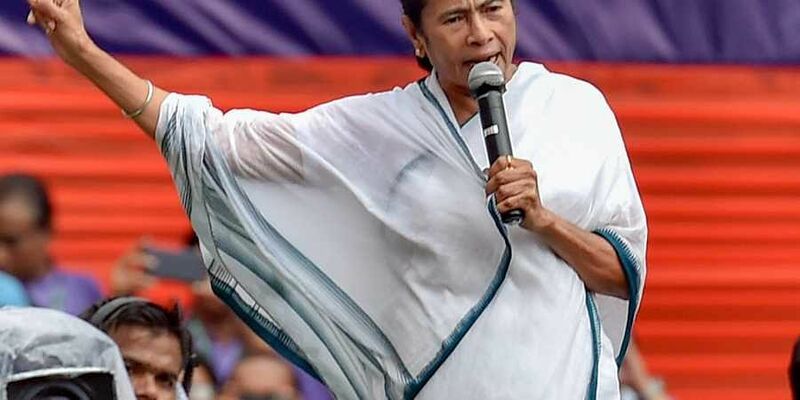 She is likely to visit Parliament and meet leaders of other political parties to extend her invitation for her January rally," a TMC leader said. She would try to put forward the "real picture" of what is happening in West Bengal to stop the BJP's "negative" against her government, according to the Trinamool Congress leader. Banerjee has been trying to stitch together a federal front of regional parties to take on the ruling BJP in the next general election. But many in the opposition have remained sceptical about her efforts. "She is free to do anything. Earlier too she and TRS chief had a talk on federal front. But the TRS helped the NDA in the no-trust motion. I have always stated that this whole federal front script is forwarded to them by Nagpur," CPI(M) leader Mohammad Salim said. The Telangana Rashtra Samithi had abstained during the no-trust vote, bringing down the Opposition numbers. TRS chief K Chandrashekhar Rao had previously met Banerjee in Kolkata and discussed the formation of a federal front to take on BJP and the Congress in the 2019 general election. It was not yet confirmed whether Banerjee would invite the Congress leadership for the January rally. At TMC's "Martyrs Day" rally in Kolkata on Saturday, she had said that all leaders of the potential federal front will come to Kolkata on January 19.